These playing cards are the finest quality, and are marked with American Standard playing card designs. Each of these cards contains a different illusion. 55 illusions in all! 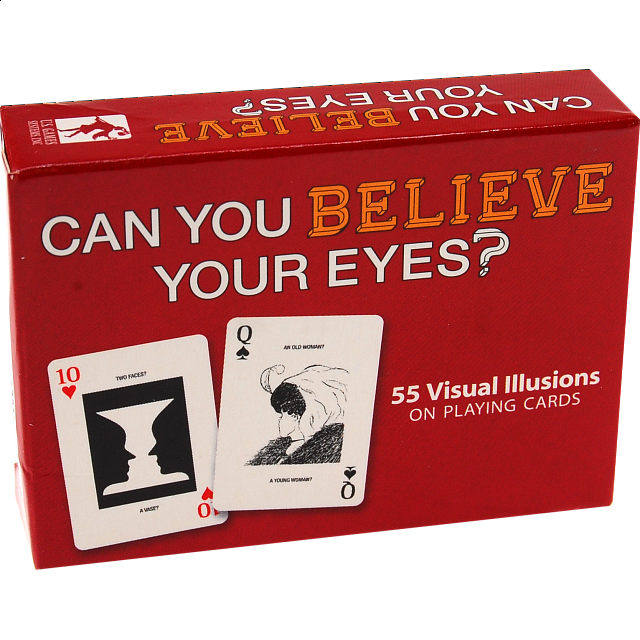 Each deck includes an instruction manual that shows how to work the illusions.